Not sure what size to order, or just wish to confirm your equine is the size you think? You're in the right place! Over the years of making tack, there are certain breeds that I typically see as a custom sized head . . . The obvious ones such as ponies, mini's, donkey's, mules, drafts, warmbloods, Friesian's and Andalusion's. Most gaited horses I also tend to see as custom, such as TWH's, FoxTrotters, Paso's, Icelandic's. Some other custom sized breeds may be Thoroughbreds, Morgan's, and Mustang's. 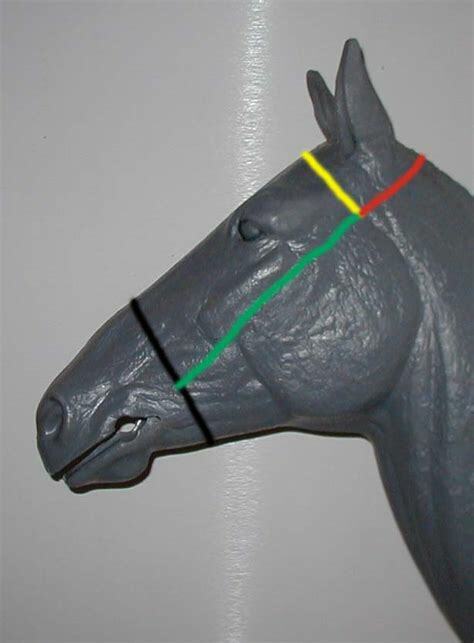 Browband (yellow) = 15", Poll (red) = 12", cheek (green) 10 - 12", nose circumference (black) 20" - 23"
Browband (yellow) = 15", Poll (red) = 13", cheek (green) 11 - 13", nose circumference (black) 21 - 24"
Please make sure all these measurements are taken for a custom order. Also, please do not add any lengths to the adjustable measurement areas.  Your product will be created with these measurements at the center of the products adjustment. Below Moss Rock also can provide a Fitting Brldle for you to adjust and send it back for measurements. Trouble or questions fitting your horse? Put this on your horse adjust it to fit and send it back. We will build a custom bridle from these measurements.